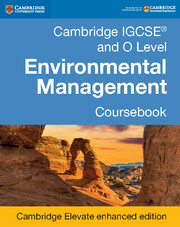 We have tailored Cambridge IGCSE® and O Level Environmental Management Coursebook to the IGCSE (0680) and O Level (5014) Environmental Management syllabuses, for first examination in 2019. 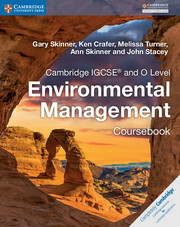 Endorsed for full syllabus coverage by Cambridge International Examinations, the coursebook comprehensively covers the knowledge and core skills students require. 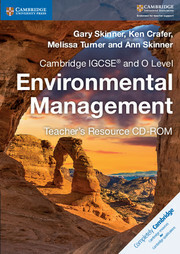 International case studies illustrate phenomena in real-world situations, while practical activities help students develop their investigative skills. 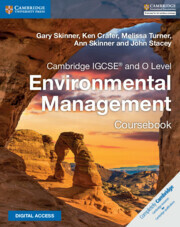 This Cambridge Elevate enhanced edition contains extended case studies with questions and answers, plus auto-marked formative assessment questions for valuable Environmental Management examination preparation. Extended case studies in every chapter provide opportunities for students to apply their knowledge and understanding to new scenarios. Furthermore, they allow students to develop higher-order thinking skills such as analysis, evaluation and critical thinking.